Used Bach Stradivarius model 25G large bore Bb trumpet with gold brass bell in silver plate. 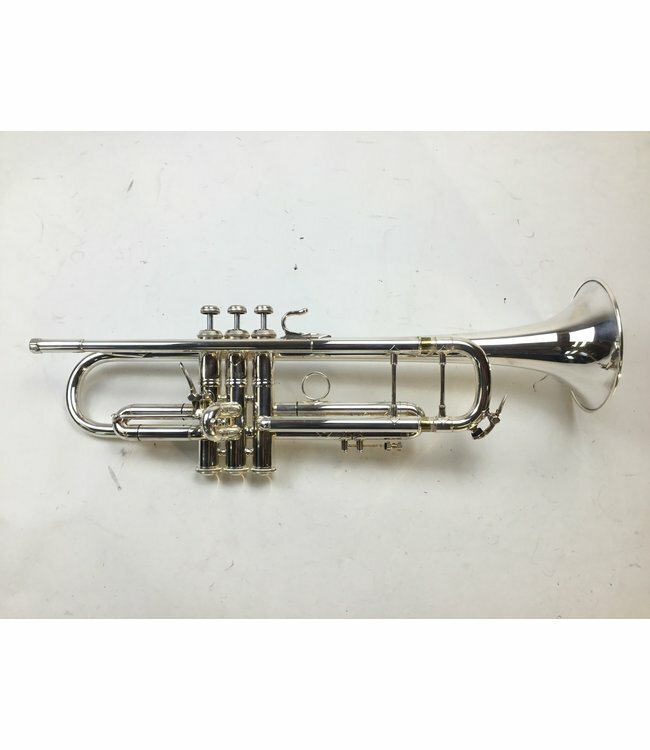 This trumpet is in very good condition with a factory installed first valve trigger. Corporation Bell. No case.